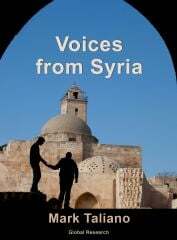 According to a report issued on September 22nd by the most accurate reporter on the current status of forces in the war against Syria — the anonymous military and geostrategic blogger who owns, and posts exclusively at, the “Moon of Alabama” blog — the effort by the previous U.S. President Barack Obama in support of Al Qaeda in Syria, is continuing under the current U.S. President Donald Trump. 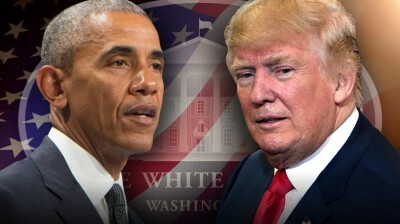 However, that report isn’t the only indication of Trump’s continuing Obama’s war against Syria, and of the U.S. Government’s continuing pro-Al-Qaeda policy in Syria. And, furthermore, the U.S. Government even supports ISIS in Syria when ISIS is being attacked by Syria’s secular and non-sectarian Government, which Government the U.S. Government has been trying to overthrow and replace by Saud-financed fundamentalist-Sunni Islamists, ever since 1949. Back on 14 October 2016, Patrick Cockburn appropriately headlined in Britain’s Independent, “We finally know what Hillary Clinton knew all along – US allies Saudi Arabia and Qatar are funding ISIS”, but any reference to the Government of Saudi Arabia is actually a reference to the royal Saud family, who own it; and any reference to the Government of Qatar is a reference to the royal Thani family, who own it. And those royal families, but the Sauds above all, have long been allied with America’s aristocracy — the billionaires who own controlling blocs of stock in U.S.-based international corporations, including the ‘defense’ contractors such as Lockheed Martin (whose largest foreign customer is the Saud family), and also the major newsmedia (which is a major reason why U.S. Presidents represent not only the U.S. aristocracy but also the Saud family, who are allied (as the U.S. aristocracy is) with the Government of Israel against Iran, and against Iran’s ally, Syria. So: this is a U.S.-Saud-Israel core alliance, against Iran and against Iran’s ally Syria. From the very start of Donald Trump’s Presidency, the overthrow of Iran’s Government has been practically an obsession.